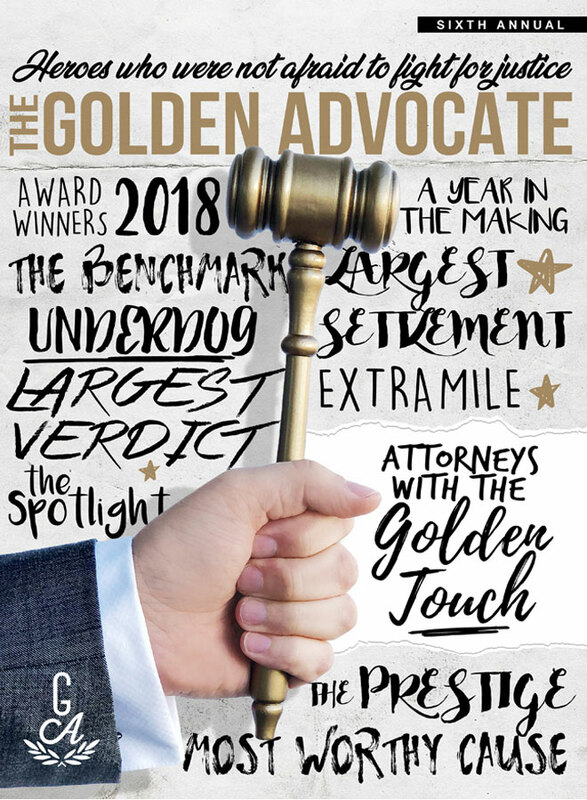 The Benchmark Award is given to an attorney or firm whose fierce litigation tactics have led to significant achievements which surpass expectations and inspire a new level of excellence. 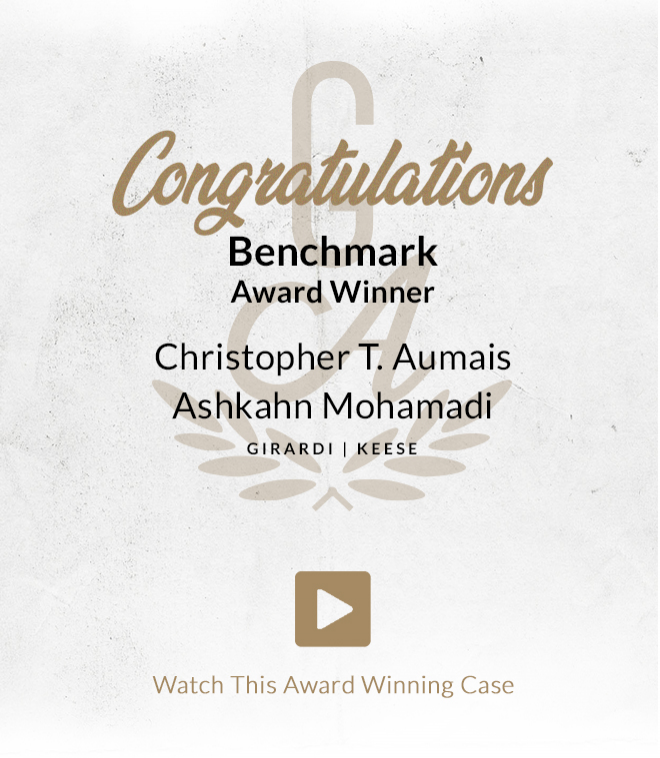 Attorneys Christopher Aumais and Ashkahn Mohamadi of Girardi Keese challenged the state of California in a remarkable victory cementing their place as the Golden Advocate’s Benchmark recipients this year. Attorneys Aumais and Mohamadi represented a woman who suffered complex fractures and a severe traumatic brain injury after a truck driver lost control and drove through a center median on a highway, ultimately crashing into her. This team of attorneys creatively navigated the barriers in dealing with the state and strategically secured a $6.65-million-dollar settlement on behalf of their client. Their remarkable success, individually and collectively, has set the firm apart nationally and can be seen through the many significant verdicts and settlements each attorney has secured throughout their careers.